Connect now has a section for items for sale! Please click here to view and for further information. We now have an EVENTS page click here to see what’s on!! behind the Cinema, everyone welcome so why not come and join us for coffee. For further information contact Dorine Berendsen-Schut tel: 06 23 903 907 fredericdorine@free.fr for further details. Local Events in Payzac - www.Payzac24. 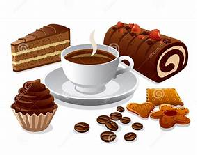 Our next coffee morning is on Friday, 3rd May at 10am until 12 noon at the Espace Ferraud building which is located behind the cinema in St Yrieix la Perche.